Tough. Reliable. And a heck of a lot of fun. For whatever work you want to do the new Kioti K9 2400 model will be the right work horse for you. Available either with plain ROPS, canopy and screen (with or without half doors), or a full cabin with heater we will have a specification to suit you. The Mechron 2400 seats 3 persons comfortably making it the ideal vehicle to move your staff and tools around. The Mechron 2400 is homologated for the road and have a high ground clearance. 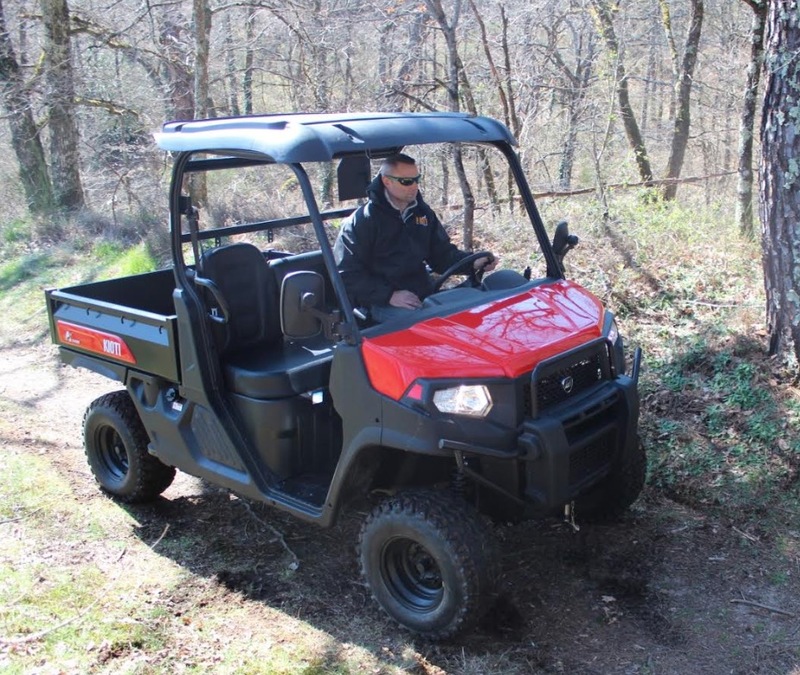 It is therefore ideal for all ground terrains and work. A well finished full cabin with heater and excellent visibility is available as an option. The new CVT transmission is smooth on the uptake and slowing down. Low noise and minimal vibrations are also characteristics of this new model. A Urethane coated rear bed will ensure that the unit stays looking good for many years. The European Spare Parts centre is located in Holland. The parts are freely available within 24 to 48 hours throughout the UK.